The Tier 1 (United Kingdom Investor Residence) visa is designed to facilitate accelerated permanent settlement application processes for those who make substantial investments in the UK. A United Kingdom Investor Residence visa is suitable for high net worth individuals seeking Permanent Resident status in the UK who are seeking lenient application requirements regarding residency and English language proficiency. A final decision on the application will be taken within 3 weeks. If applying by post and if the application is approved visa(s) will be issued within 8 weeks. If applying outside the UK, processing time depends on the time required to get a UK visa in an applicant’s country of residence. You can include your husband, wife or partner, and children below the age of 18 years as dependents in the visa application. Documentary proof of the marriage or civil partnership or evidence proving the existence of a two-year relationship similar to marriage or civil partnership. 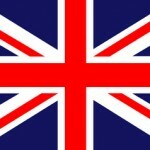 Documentary permission to use joint or personal funds and to have the funds under your control in the UK. You must be legally permitted to the use the funds without obtaining the consent of your partner. Confirmation from a legal adviser that all relevant declarations are valid.